Thailand has charged its new ambassador to the United States Pisan Manawapat to quickly mend strained ties with its ally Washington during his time there. In an interview with The Bangkok Post which was published following his confirmation earlier this week, Pisan said that his “two urgent tasks” were to improve Thailand’s relationship with the United States as well as to help upgrade Bangkok’s position in the U.S. State Department’s annual Trafficking in Persons (TIP) Report. U.S.-Thailand relations, already strained following Washington’s suspension of aid and nixing of some exercises and exchanges of after a coup last year, had deteriorated even further when the U.S. top envoy for East Asia Daniel Russel publicly rebuked the ruling junta in a speech at Chulalongkorn University in Bangkok on January 26. As The Diplomat reported then, U.S. charge d’affaires Patrick Murphy was summoned to the Thai foreign ministry and a February 2 joint press conference between the United States and Thailand on the scaled down Cobra Gold exercises this year was delayed. Thai prime minister Prayut Chan-o-cha had also issued some rather colorful statements of his own in response. Beyond this bluster however, the junta has been redoubling its efforts at improving relations with Washington, and Pisan is part of this effort. Pisan reportedly held a meeting with Russel and other officials soon after his arrival to Washington on February 13. Aside from this, he also submitted written remarks to U.S. President Barack Obama before presenting his credentials on Monday. 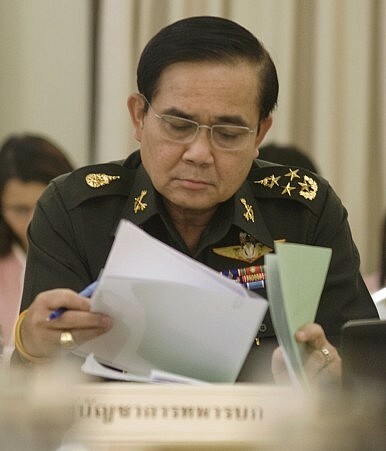 In those remarks, which were partly published by The Bangkok Post, Pisan struck a much more conciliatory note, emphasizing that Thailand’s commitment to its alliance with Washington “remains unwavering” and emphasizing that multi-party elections would be held next year following the completion of a new constitution by September. The ruling junta had previously pledged to hold elections this year. Thailand is also currently under martial law which is in place indefinitely. Pisan also outlined six key areas where Thai-US ties can be enhanced, ranging from security to climate change and science and technology. The first priority, security, was unsurprisingly focused on “human security” and Thailand’s bid to improve its performance in the U.S. State Department’s widely-read annual report since it was dropped to the lowest level (Tier 3) in June 2014.